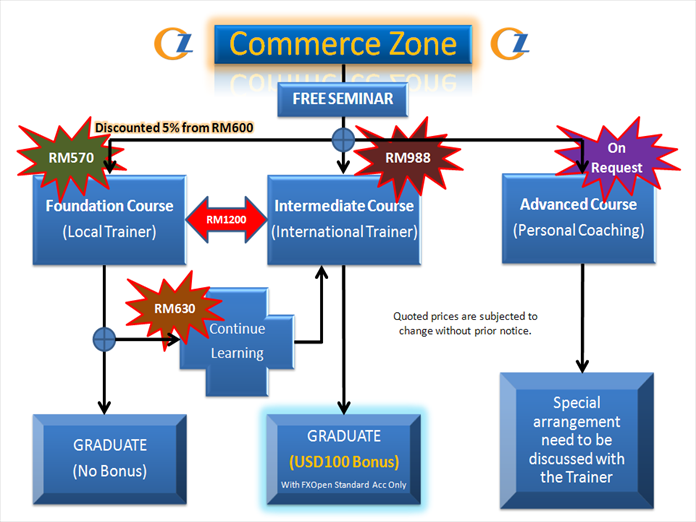 Commerce Zone Sdn Bhd is a financial services company specialized in motivating and training the potential traders on how to trade in financial markets under equal conditions. Participants will be exposed to trading services such as professional services in free streaming stocks, derivatives, commodities and forex, online brokerage, online trading and exchange. 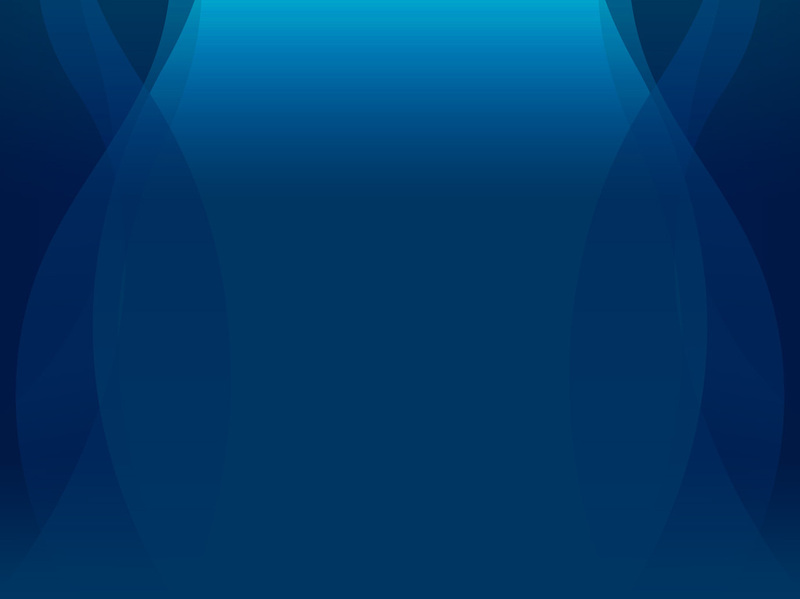 With our vast experience in trading, we can guide you to achieve your dreams. We can guarantee our services come in high quality forms and the most important, we possess a winning attitude that always put YOU first. The training we offer proves our concern to develop the people especially in financial aspect. 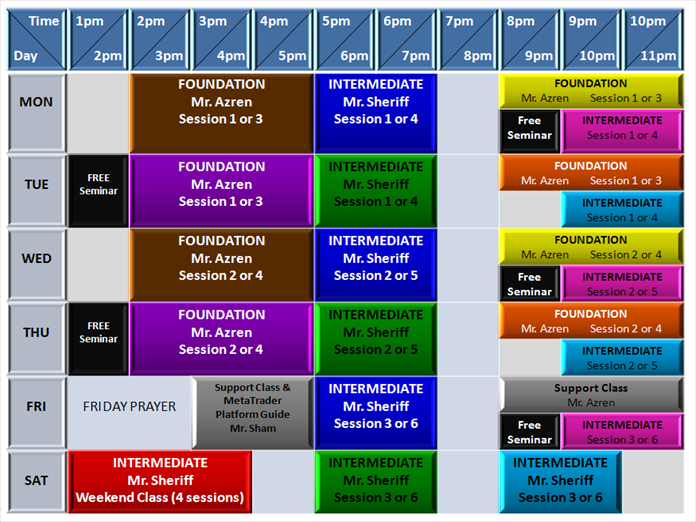 The training sessions are held in spacious and comfortable classroom and equipped with latest technologies. These training sessions are handled by our experienced professionals. In addition, we invite some external professionals (locally and overseas) from financial related industries to handle certain sessions of the training. The flexibility of time is one of the attraction we can offer where you can choose the day you prefer to attend the training. Whether you are students, self-employed, private sector workers or government workers, our time is always available for you. 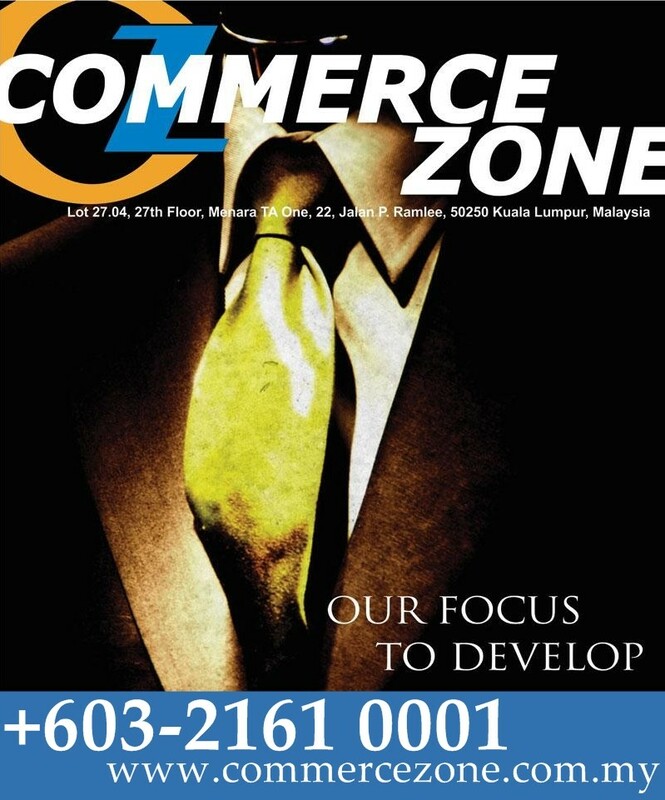 COMMERCE ZONE (M) SDN. BHD.